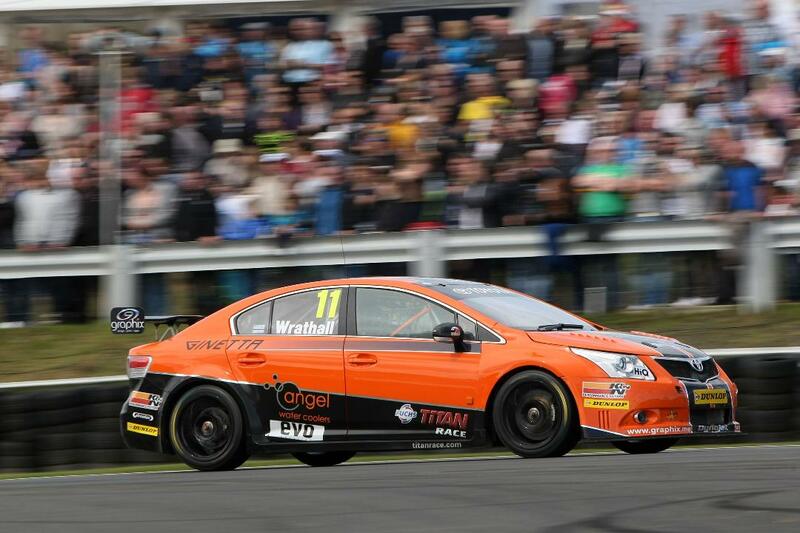 You'll certainly see Wrathall's bright orange Toyota coming... Straight past you. After blazing a trail to the BTCC podium at Knockhill earlier this month, independent Toyota driver Frank Wrathall and his Dynojet Racing team will this weekend (17/18 September) be seeking further glory at the Rockingham circuit in Northamptonshire, venue for the latest thrill-packed rounds of the Dunlop MSA British Touring Car Championship. The super-fast semi-oval track, which is celebrating its 10th anniversary, should suit the powerful Avensis even better than tight and twisty Knockhill, where the Toyota became the first of the ‘Next Generation Touring Cars’ to claim a top-three finish. Wrathall’s recent results have promoted the Lancashire man to 12th place overall in the BTCC driver standings, and to 10th in the Independent rankings. They have also brought him a steady flow of champagne: it has just been announced that Frank is the first driver to win two successive BTCC ‘HiQ Champagne Moment’ awards after fans logging on to hiqbtcc.com voted the Dynojet ace their top performer at Knockhill. He attracted 58 per cent of the vote. Sunday 18 September: races at 1130, 1400 & 1650, live on ITV4 & ITV4HD.